As much as I love running, business needs to come first. For that reason, I was unable to get in my workout yesterday. I was in the city all day for meetings so the opportunity for a run didn't surface. 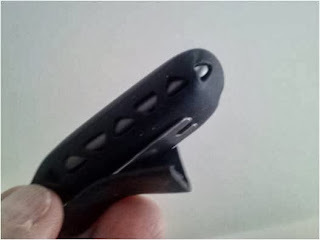 I'm temporarily boycotting my Fitbit because the holding clip has deteriorated to the point where I fear it will rip my pants when I wear it. Without it, I don't know how much distance I covered yesterday on foot, but I'm estimating it was between 4 and 5 miles. Today I had no excuses. Without a commute into the city, I had enough time for one final run before Saturday's 5K. Although I've heard that I need to do weekly speed work in order to avoid embarrassing myself on race day, I think I've prepared well for the race. I decided that a good hard run over three miles would be a nice way to end my taper. I took off at a brisk pace and tried to maintain that turnover throughout the entire run. The difference between this type of workout and a race centers on two factors: the influence of other runners and the psychology of competing in a timed event. Without those two things, my expectation was to see a very good, but not spectacular performance today. That's exactly how it came out. I'd kept my heart rate around 85% max and covered the distance in a little over 28 minutes. For me, that was exactly on the mark. I could have pushed harder and dropped my pace into the 8:00 range, but I didn't see any reason to do that. 9:06 was a decent average under the circumstances. I'm making no predictions for Saturday. A lot of it will come down to how I feel on race day morning. Sounds like you'll do well then on Saturday! I hope good weather is in store. No humidity, please! Be one with the hill.